This detached, contemporary home is situated just next to the Tarka Trail and only a short 5 minute drive to the award-winning Woolacombe beach. The property benefits from driveway parking, garage, a private garden with rural outlook and most importantly – A HOT TUB! After a busy and exhilarating day on the popular Woolacombe beach, High Tides provide you with a replacing and tranquil environment to unwind out of the 'hubble-bubble' of the town. The hot tub is a perfect place to soak away any surf-related aches and pains. High Tides benefits from having two en-suite bedrooms on the ground floor. The beautifully presented twin bedroom is accessed from the main entrance hall. A double room is accessed from the living area, at the bottom of the stairs. The garden is laid with patio and stone chippings with several shrubs and a hedged boundary to the Tarka Trail. A coal BBQ is provided. Thank you for the welcome pack! Loved the hot tub - would love to come again soon! The location is amazing close to everything but far enough away to be quite. The beaches are a few minutes drive away. 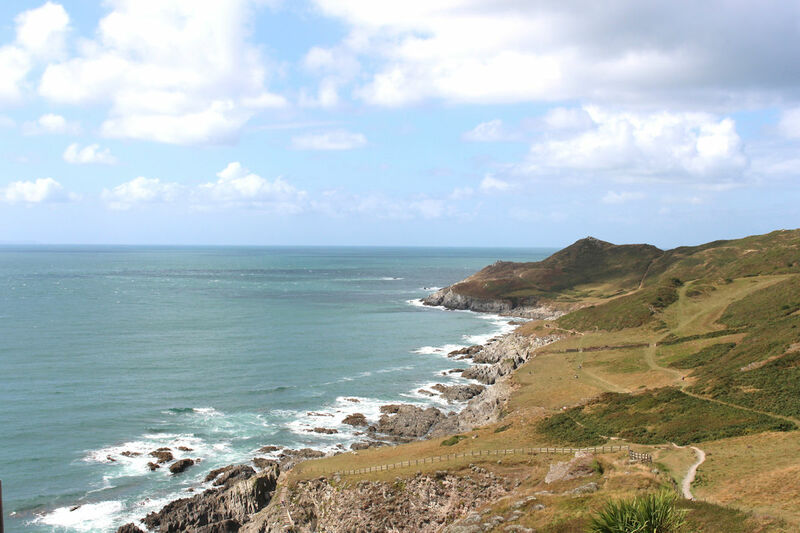 The Taka trail to Ilfracombe is a great easy walk and only a few minutes from the house. The house is well equipped with a great hot tub. We'll defiantly visit again!